The WSW Golden Olive is a successful cross between a Damson and Woolly Bugger. It is an excellent search pattern that is extremely proficient on most still waters.The Marabou tail gives amazing mobility and the hackled body creates exciting disturbance which often leads to aggressive takes. 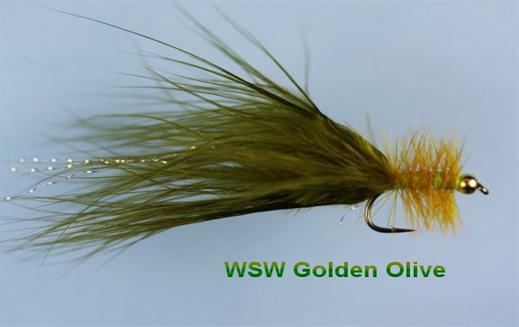 Currently there are no comments about the WSW Golden Olive fly pattern from other fly fishermen yet.